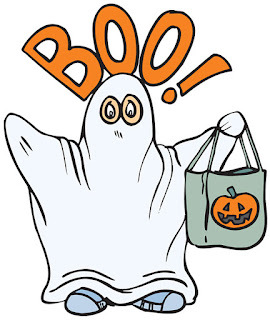 Halloween is almsot upon us, so we're on the look for out for some unusual treats to enjoy. Yumbles are an online marketplace for all-natural food for health conscious eaters who won't compromise on flavour. They go around the UK looking for artisan, small-batch foods that you won't find in your nearby store. They sounded like the perfect place for my unusual treats so when I was offered some of their treats to try, I was so excited. 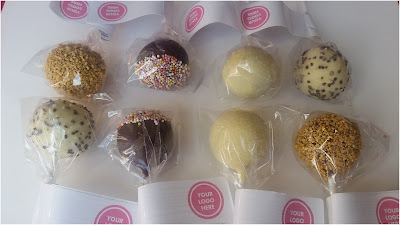 Yumbles sell a whole host of wonderful treats but we were trying out their PopKakery Cake Pop Party Pack and their Helly's Kitchen Honeycomb S'mores - Both looked amazing! I've never had S'mores before so I was really interested to see what they would be like. I had imagined the kind of messy marshmallow things we used to hold over the Girl Guiding camp fire but these Helly's Kitchen Honeycomb S'mores were so much nicer and tastier. They arrived beautifully gift wrapped and ready to eat. Everything you need is inside the box with a nice little set of instructions. Each honeycomb square was individually wrapped for freshness and the perfect portion size. The box of honeycomb chocolate s'mores included: four soft marshmallows, oozing with caramel and honeycomb, sandwiched between two cinnamon biscuits. All beautifully hand-crafted at Helly's Kitchen HQ in Dalston, using fresh, top quality ingredients. I've never tasted anything quite like them before. The marshmallow was so lovely, not too sweet but yummy enough to want more of. I cut them up into halves so the kids could all give them a try. Ryan just wanted the biscuits as he's not a marshmallow fan but Lily and Chloe both loved the whole thing. I'd toasted them lightly so they'd melted onto the biscuits which gave them a great texture. We did get a little messy but that was all part of the fun. S'mores would make a great treat for Halloween as you get to hold them over a flame to toast. They'd be a great idea for a Halloween party. Cake Pops are very popular with my kids so they were really excited about the PopKakery Cake Pops. We were sent a beautiful box with four different varieties to try, each one looked amazing! Our box contained an assortment of: PopNoir, Krumbles "n" Kream, Bling Bling and Dazzle Popkakes. 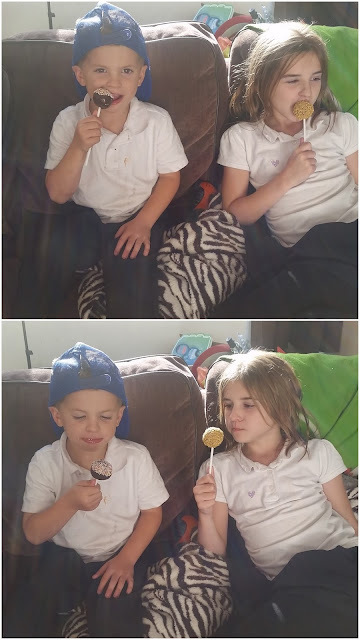 The kids were in total pop cake heaven! 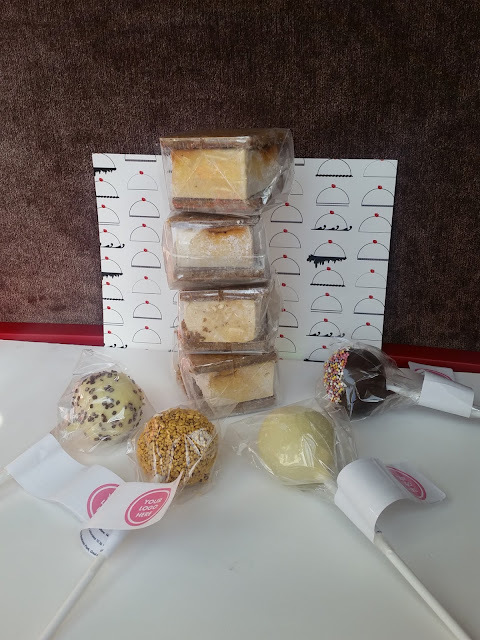 All Popkakery cake pops are made in small batches using the finest ingredients and have a shelf life of 21 days. Popkakery's cake pops have been enjoyed by enthralled party-goers and celebrities around the UK- Peter Andre and Mylene Class are among the PopKake fans. After trying them ourselves, we're more than happy to add ourselves to their fan base. Each PopKake was covered in chocolate and covered in something exciting like sugar or sprinkles. The chocolate wasn't too sweet so they were very enjoyable. The cakes themselves were lovely too, nice moist cakes that again were not too sweet but just right. The kids LOVED the PopKakes. They were a lovely after dinner treat for us but I can see how they'd make great Halloween treats too. Either for your Trick or Treaters if you're feeling generous or for your party favours. Which ever way you use them, they're sure to be enjoyed and loved by all. The range of flavours was great, some had vanilla cakes inside and some had chocolate cakes inside so there was a choice of flavours for everyone. 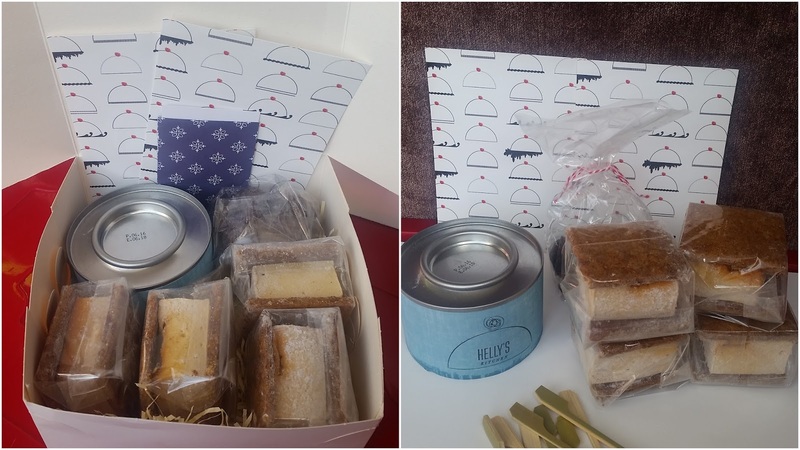 We really enjoyed our Yumbles delivery and would happily recommend both of the treats that we tried to our friends and family. If I had to choose which one I liked best, I'd go for the Honeycomb S'mores whereas I know all of the kids would go for the KakePops. 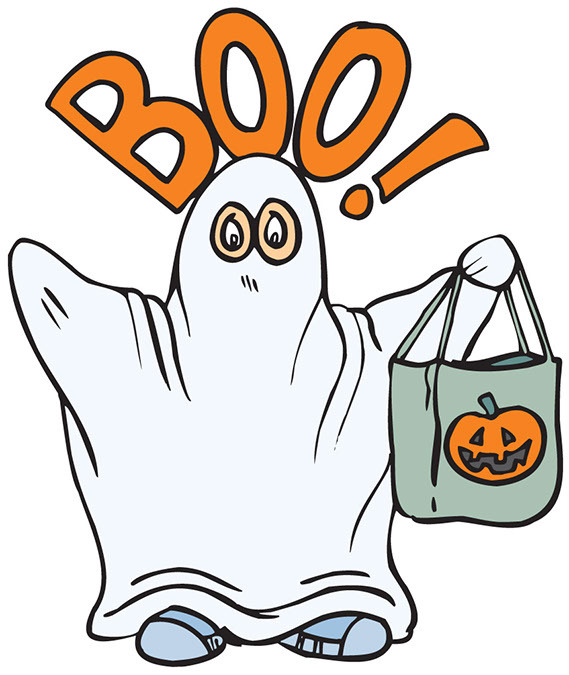 There are lots of lovely Yumbles Halloween treats to choose from, why not pop on over and take a look. I have my eye on their Purgatory Chilli Chocolate Bar. Disclosure: We received our Yumbles samples in return for an honest review. All the opinions and thoughts expressed in this review are 100% honest and my own.